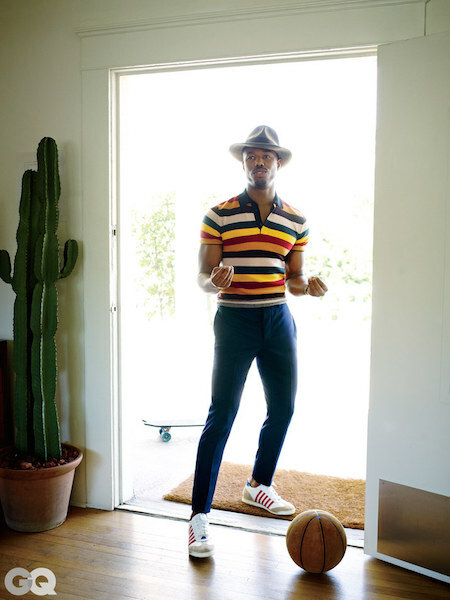 Female stars aren’t the only ones ruling the red carpet — MICHAEL B. JORDAN — has swagger for days and doesn’t shy away from color or dramatic flair often wearing Givenchy polka dots or Dior Prince of Wales checked suits while looking impeccably polished in all of it. With his star rising like a meteor in Hollywood, I look forward to following MICHAEL’S style evolution. I meant to post this editorial MICHAEL did for GQ in October wearing weekend wear which we know men don’t always get right. If I could style my nephews, this is exactly how I’d do it while mandating a gorgeous smile too!